Apple has finally announced that iTunes is to go DRM-free, however, there are still some vociferous critics of Apple's iTunes strategy. Ben Drury, CEO of independent online music store 7digital.com has a good point to make on Apple's DRM-free claim. "Downloads from iTunes are still in the AAC file format regardless of whether they are DRM-free," Drury reminds TechRadar. 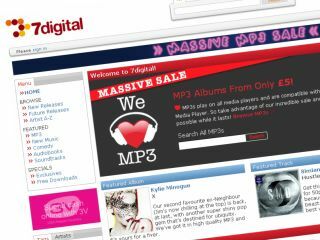 "7digital.com prides itself on offering the MP3 universal download format, which works across any iPod, MP3 player or mobile phone. "The AAC file format is only compatible with iPods/iPhones and a limited number of other devices. So consumers who buy downloads from iTunes are still restricted to where they can play that music regardless of whether it's DRM free or not." 7digital's CEO BenDrury also added that: ""AACs can be converted to MP3s but this is a hassle and involves significant loss of quality. "If you convert a 256kbps AAC file to 320kbps MP3 you will lose a lot of fidelity. 7digital.com's standard format is 320kbps MP3 and these have been sourced from a lossless archive format. "Also, charging people for "upgrading" to iTunes plus is, quite frankly, a rip-off and something that I'm sure consumer associations will be up in arms about!"